Double-sided heating. Heating time for 1/8" acrylic is about 25 seconds. The height of the filaments in the reflectors can be adjusted to work with different thicknesses and radii. 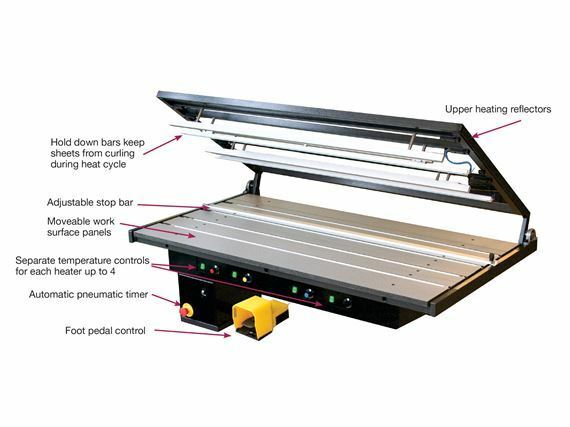 Uses compressed air to semi-automatically operate the top frame along with foot switch and timer. Opens when heating is complete. 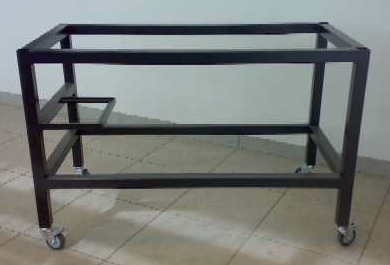 Made of Durable, Scratch Resistant Trespa panels, steel frame. Heating filaments in the bending table. 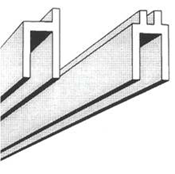 Under-profile reflector with 3 wires. Ideal for bending big radius. A range of reflectors are available with a variety in length, width and multiple heating-wires. Reflectors top and bottom up to 250 mm. in width and with 12 wires each have been made. Our standard multiple wire reflectors with 2 to 4 wires and 30 to 120 mm. in width are capable of bending plastic sheets up to 25 mm. thickness and ideal for bending a big radius. Thin sheets (0,3 to 1,5 mm.) can be bent straight with no distortion with our teflon coated foil bending profiles. These profiles are also perfect for bending Forex or foamed PVC to prevent ‘ears’ on the sides of the bends so cutting of these deformed sides after bending is not needed. 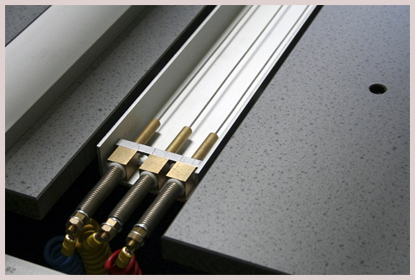 The foil bending profiles are also available with a double contact-back to make 2 very close bends possible. A range of back-sizes are available (from 2 to 10 mm. width). Our standard lengths: 50, 65 and 125 cm. Our plastic bending machines are standard constructed to be easily extended with extra regulating units at any time. 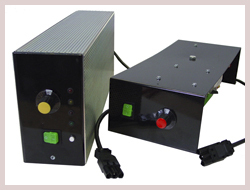 Double regulating units are also available for continuously variable adjusting the temperature of 2 heating wires. Adjustment on Reflectors/ filaments 7/8" to 24" 7/8" to 20"